Everyone knows Seiko. 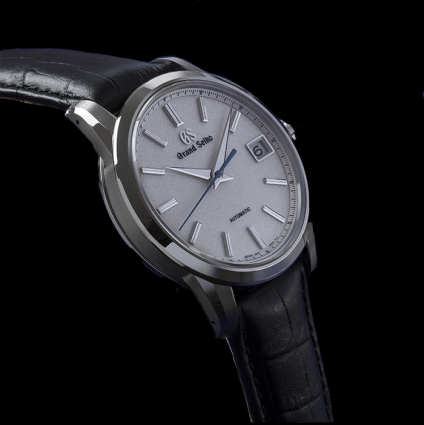 Grand Seiko is already much more confidential and only known to very specialized collectors. It is these same collectors that we send. When the brand decided to come out of the woods to communicate more openly, our wishes naturally met. We share the same convictions: a niche brand for discerning collectors, with a lot of R&D, 100% manufacturing, an outstanding finish and a strong and distinctive identity in the conventional watchmaking landscape. Great Seiko, it's all that...and much more. As the Grand Seiko brand is now independent from Seiko in many respects, Chronopassion has a role to play in ensuring its progress in this new territory. The manufacture has a very elitist approach that corresponds to ours. It occupies this particular position of a brand that everyone thinks they know but whose wealth is still largely unknown. A manufacturing that appeals to our customers because their values are the same: exclusivity, uniqueness, singularity, strong identity. There is also this very extreme Japanese approach, a culture of "zero compromise" to which we are very attached, with this exoticism that places the company outside the Swiss watchmaking industry - a unique position on the market and, to be honest, without any real competition, even less equivalence.